One of the things we love about slots is the huge range of styles and themes that are available for the modern gamer. 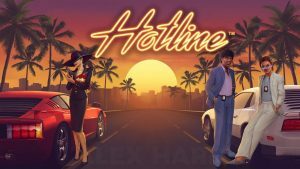 Long gone are the days of the humble fruit machine, we now have thousands of slots that use any type of theme you can imagine to stimulate a certain mood. Action slots are one of them! We all know that there is a time and a place for everything. Sometimes, we want to kick back and play something a bit downbeat and relaxing, but other times we want to let loose and fill our lifes with high wire thrills. 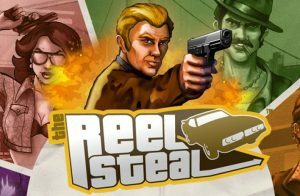 At these moments, action-themed slots are absolutely perfect for ramping up our excitement levels as we spin those reels. Slots, by their very nature, are an exciting pastime to engage in, so action based themes compliment them perfectly. They can truly be the perfect match. One fantastic aspect of the action genre is that it overlaps with many others and complements them as well. By this, we mean combinations such as action adventure, war, movies, and superheroes. These are just a few examples of action crossovers that we will look at later on, along with some excellent examples of action-themed slots that you can play right now. Sometimes we find ourselves in the day to day routine of our jobs, the commute, family life, which is all great, but often we need some kind of excitement to shake us out of the routine and provide some thrills. 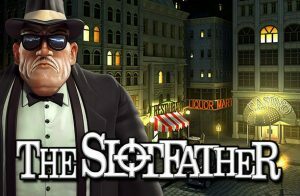 Action slots are great at fulfilling this role due to their ability to both improve mood and let us potentially make some money on the way. They are an escape, much like a good book, or movie, that can absorb us into their world and let us forget the worries of the day for a while. 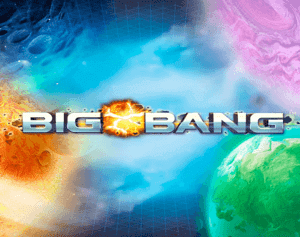 With a little bit of imagination, the theme can really come to life as we play, particularly with the fantastic graphics and effects that modern developers are able to incorporate into their slots. Who is the Ideal Player for Action Themed Slots? One ideal candidate for this style of slots is someone who is looking for a bit of a lift in their mood. They are good for anyone who is feeling a bit lethargic and could do with a boost of energy. Action slots have the ability to turn a mood around with their use of fast-paced gameplay and imagery. 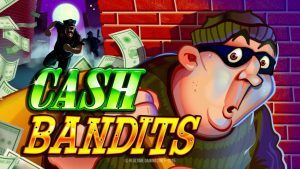 Action/movie slots also provide a dose of comforting familiarity which is always nice as players can identify with the characters used for symbols and groove along to a well-known soundtrack. These slots provide a double dose of action and energy that can make playing more enjoyable, and when a win comes it can be a really special moment. 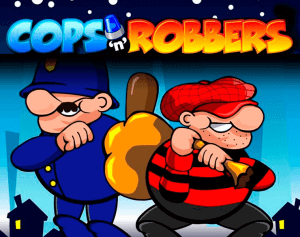 Action themed slots are also good for players who are already full of beans and raring to go. Players who already have a positive mindset can use these slots to amplify a mood that is already humming along nicely. It’s like getting ready for a bit night out at a live casino, emotions elevate, excitement builds, and then the action happens. Another bonus for this kind of slots means you don’t need to get dressed up and go out, you can browse the extensive collection of action slots and ride the wave of good vibes from the comfort of your home. Due to the number of crossovers that occur within the action theme, fans of other themes will also find plenty to like here. We will take a look at some popular mashups in the next section but we should make the point that many players may already be fans of the action genre without being fully aware due to the fact that their favourite slots may possess a number of action based elements. There is no one specific element that we can point to and say ‘Aha! This is an action slot!’. Due to the myriad of forms that can express action means that there are many features that can create action during a game. If we had to name a guiding principle we would point to an ability to cause the heart to beat faster, to get the blood flowing, and for the adrenaline levels to spike. This x-factor can be caused be anything – a hint of danger, the thrill of the big win, the promise of a huge night out at a casino. The action concept is like a piece of fine art, you just know it when you see it. Take a look at our list of action-themed slot examples and this should help colour in the picture and clarify what we mean. As mentioned before there are plenty of slots out there that can be classed as action slots, but also fit in well with a number of other categories. Many of these themes influence each other and often result in brilliantly crafted collaborations. This is one of the magical features of the action theme – it blends well and adds excitement to whatever it touches. One of the first examples of a successful crossover is the Action/Superhero theme. Superheroes are by their very nature constantly in action, battling baddies, rescuing guys and gals, and generally saving the world. 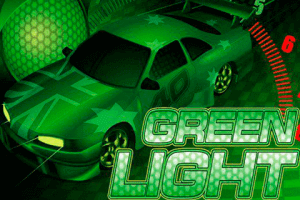 These are high octane games that offer fast gameplay, blistering bonus features, and ground-breaking effects. Slots that capture the live casino experience can also be full of action. Las Vegas is often used as inspiration by software developers who are forever striving to recreate the thrill of being in this one of kind city on a desktop or mobile device. We might not be 100% there yet, but with the adoption of 3D technology, we are getting closer and closer to this elusive goal. This is another fantastic theme that works hand in glove with action. Mythology slots are hugely popular. Think the Norse and Egyptian gods, and usually contain a high degree of action with them. Mix in a bit of a historical theme as well such as the Vikings, and you have the recipe for some incredible gaming opportunities. Just as the demand for action in slots is sky high, so it is in the tv and movie world. This has resulted in a huge industry that is cranking out action-packed films that prove to be massive blockbusters in theatres across the globe. The next logical step has been for software developers to license the big titles and style some action-packed slots around them which has proven to be an extremely successful concept time and time again. 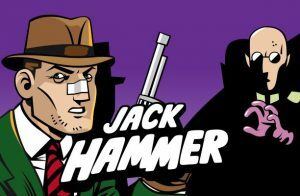 There are so many good action crossovers that we have just scratched the surface of what is available both on and offline. Other popular examples that are worthy of mention are Adventure, Cops and Robbers, Space, Military, Thriller, and Cartoons. What these slots all have in common is the ability to fully engage a gamer and take an already thrilling pastime and boost its seat of the pants excitement to new heights. 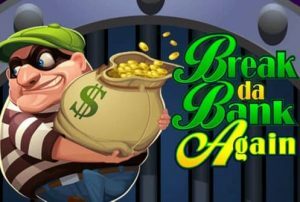 Are you are ready to dive in and take on the world of action slots but are unsure where to begin? 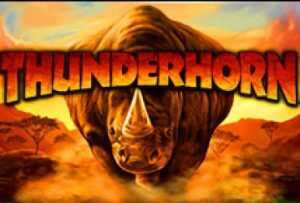 Not to worry, we have pulled together some brilliant games that include old and new classics from a variety of different action themed slots. These are tried and true classics that will provide a ton of excitement for the thrill-seeking gamer, and no matter your taste you will find something juicy to test drive here. Jumanji was a roller coaster of a movie when it was released back in 1995. It featured an amazing journey through a dangerously fantastic world. A couple of kids, added by Robin Williams, fought their way back to their own world. It took over two decades for NetEnt to finally convert this movie to a slot, encouraged by the 2018 remake, but the wait was certainly worth it – though Robin Williams is sadly absent. 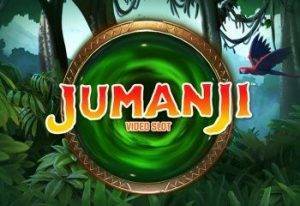 Jumanji is a brilliant slot that the developers have used to do a fine job of capturing the excitement and action of the big screen original. They have even managed to sneak in the original board as one of the bonus games waiting to be unlocked. Tomb Raider is another slot that was crying out to be made. After successfully starting life as a video game, then exploding onto the big screen via the acting talents of Angelina Jolie, it has now made its home in the slots world. 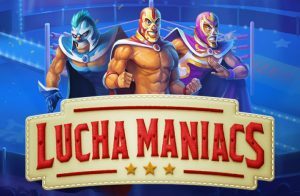 Microgaming is the designer behind this game that provides players with a thrill a minute action as they try and unlock its mystical free spins, bonus game, and jackpot. To be fair, the graphics of the original will not knock your socks off, but keep in mind that this is an older game that has worked hard to earn our respect. 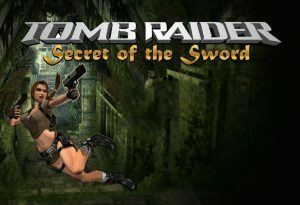 Also, keep an eye out on its younger sibling Tomb Raider: Secret of the Sword which was released a few years after the original to relive the thrills and spills of this popular series. Combining elements of history, legend, and buckets full of action is 300 Shields. 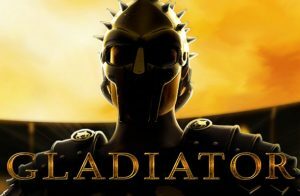 This slot is based on the epic battle that occurred at Thermopylae between the determined Spartan warriors and their allies against the invading Persian army. The graphics may not be ground-breaking but they do the job of bringing this near-mythical era to life. This slot uses a background that brings to mind the fecund fields of Sparta overlaid with reels that spin with Ancient Greek symbols. Adding to the lush visuals are epic multipliers that range into the hundreds. 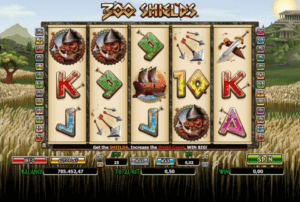 Pulses will certainly rise during this fast-paced slot when the Shield scatter and Warrior wild join forces in a battle to rein in a fabulous jackpot. The old American Wild West. How many legends were born from this era? The bravery, the gun slinging, the cattle rustling, it’s no wonder that The Wild West continues to be a popular theme for movies, books, games, and slots. Dead or Alive employs all of the well-known icons of the genre, including the ragged old sheriff who has seen it all, along with the big hat and boots, whiskey, and of course – guns. Some say the Wild West has been overdone and there is some truth that it can be a bit of a cliché, but that’s fine, there’s a reason why the classics get to that level. Don’t let that stop you trying this game because Dead or Alive is a well-presented slot, that offers some excellent winning opportunities, along with a bunch of fun and action sprinkled in along the way. Our final slot on the list is one that is a little different. It is set in the gambler’s paradise of Las Vegas, however, the city is not quite the paradise it once was… In this fast-paced slot, zombies have taken over the joint and the twist is that you can either join their number or sign up as a survivor whose job is to evade them as you attempt to rack up some winnings along the way. 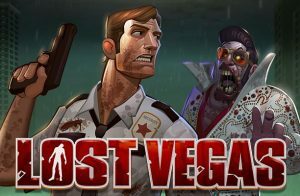 Lost Vegas slot really won’t be to everyone ones taste as the graphics are pretty intense but it certainly isn’t short of action and injects a touch of horror to the reel spinning mayhem. We have now come to the end of our roller coaster of thrills through the land of Action Slots. As you can see this is one theme that is employed often and cuts across an array of diverse themes. The key to them all is their excitement factor and their ability to make your pulse race a bit faster. We sometimes need moments like this, when we need a boost, a thrill, something to engage us and make our lives just that little bit more exciting. If you are looking for a blast like this, then make sure to check out the action section of your favourite casino – whether online or off, the options are fantastic.